Julius A. Dresser was an early leader in the New Thought movement, along with his wife Annetta, Dresser. Both were early practitioners of the healing methods taught and practiced by Phineas Parkhurst Quimby. Julius Dresser was born February 12, 1838, in Portland, Maine. In his youth, Dresser he entered Waterville College to become a minister in the Calvinistic Baptist Church. In 1860, while still in college, Dresser became sick and went to see Quimby, who was well known for his healing abilities. Julius Dresser was healed by Quimby, and quickly become an advocate for Quimby's teachings and healing practice. In 1863, Julius met Annetta Seabury at Quimby's office, and they were married in 1863. Their first son, Horatio Dresser was born in 1866. Horatio also would also go on to become a prolific author in the New Thought movement. 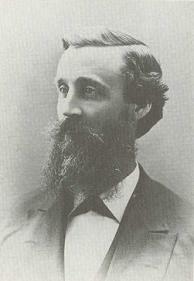 At the age of 28, Dresser became editor of a Portland newspaper in 1866. Later that year He and his family moved to Webster, Massachusetts, where Dreser worked as an editor for the Webster Times; this was also the same year that Quimby had passed away. Soon afterward, the Dressers moved to California. In 1882, the Dressers returned to Massachusetts, where they set up an office in Boston to practice mental healing. They held no public meetings at first and only healed individuals on a personal basis. The Dressers closely followed Quimby's thoughts and practices and were devoted to operating strictly on the basis of the Quimby healing principles. In 1883 they began teaching classes. patients who were healed wanted to know by what means the healing was wrought. Instead of writing it down and letting their patients read it as Dr. Quimby had done, the Dressers decided to hold classes and gave instruction through their lectures. They became successful through their work and in their healing practice, which made no use of medicines or other material means. They believed it was 'natural and right to be well, and the simply truth undesrtood and applied destroys the error of desease. Their examinations were by means of mental perception and intuition which revealed the nature of the disease. They specifically followed the principles of truth that was discovered and reduced to a science by Quimby. Closely following Dr. Quimby's ideas, the Dresser's set forth their healing theories and methods, naming their practice "The Quimby System of Mental Treatment of Diseases". There was a kind of religious warmth in them that seemed to go beyond anything in Quimby's teachings. The Dresser's led a long-time dispute against Christian Science founder Mary Baker Eddy over whether she used Quimby's teaching unattributed in her writing. After Quimby's death in 1866, one his petitioners, Mary Baker Eddy, went about forming the set of beliefs which would eventually became the basis of Christian Science. In 1882, Dresser studied Eddy's practice and teachers and later going on to make public claims that Eddy plagiarised Quimby's ideas without properly crediting him. Dresser first refuted that this happened in his 1887 book, The True History of Mental Science. The Dressers had also laid claim to Quimby's teachings by formalzing the New Thought movement and promoting it nationally. In the 1890's Dresser took Mary Baker Eddy to court. The Dressers lost the case, but the family continued to protest against Eddy even after her death, in The Philosophy of P.P. Quimby (published in 1895), and in 1919, Dresser's son Horatio also published a book, A History of the New Thought Movement, in which he also laid claim against Eddy's authenticity.